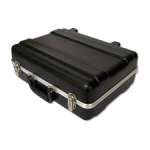 At first, deciding which Bel-Air case best suits your needs may seem a bit confusing. However, our advisors are more than happy to help you choose the appropriate case style and configuration based on your products’ characteristics and transportation requirements. Feel free to call 866-235-2472 for instant design assistance and quoting. If you’re more of a ‘do-it-yourself’ type of shopper, we’re happy to offer some advice. 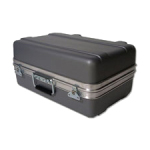 The most important thing to consider when choosing a case is to recognize who will be transporting it. 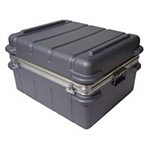 The less you know your courier, and the less they know what’s inside the case, the more heavy-duty your case should be. 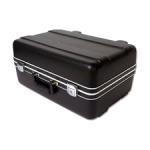 Frequency and type of transportation are also factors as is the total weight of the products inside. Finally, since there may be more than one acceptable case solution, packaging costs versus product replacement value should also be considered. Items weighing 5 to 40 lbs. Items weighing 5 to 20 lbs.